← New Showroom & Boutique!!! This new project OUR NEW SHOWROOM!- has amplified the excitement and nighttime tossing. That mixed with the late work hours getting it all ready is not good for the designer appearance! That will explain the dark circles if you meet us at the store. Today was exciting for us….but not so much for Zane the contractor though. He’s the BEST and he and the crew didn’t complain too much! 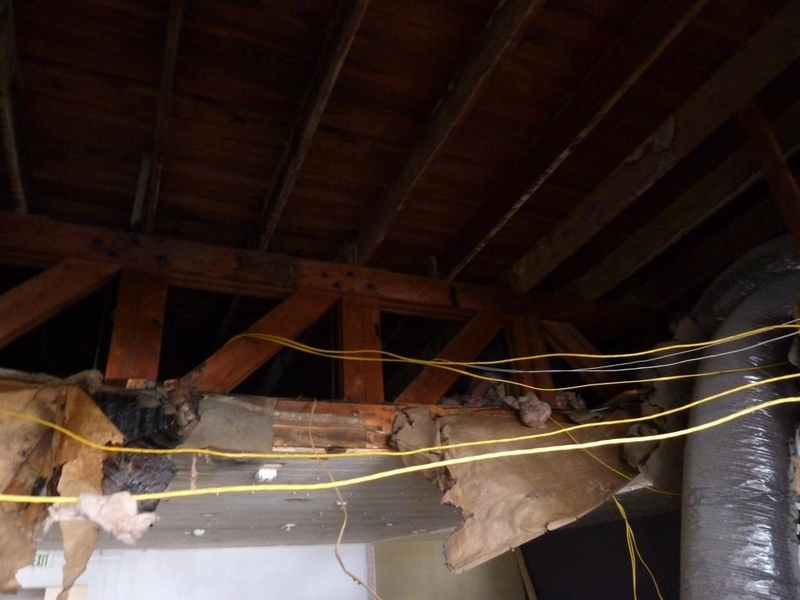 It was their task to uncover the beams and get rid of the nasty dropped ceiling. I told you we’d have pictures. 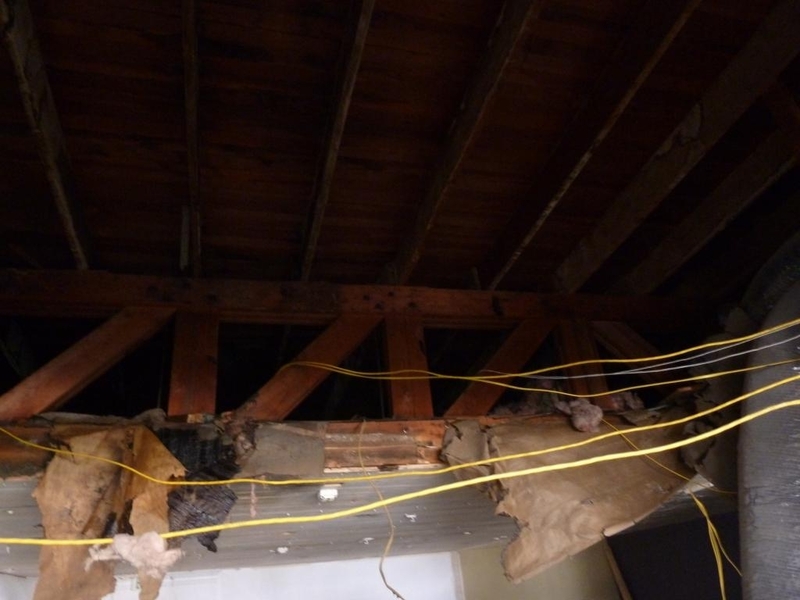 Well some of them were just too scary to post so here’s a couple that show how great the beams and new opened ceiling will be WITHOUT showing the nasty disaster created in the process. Those old ceilings are MESSY. We were in and OUT for just enough time to take the pictures. YIKES! And check out the outside of the building. Its super cute. I can just see the sign “LIV by Atmosphere ID” sitting under the lights with cute awnings. 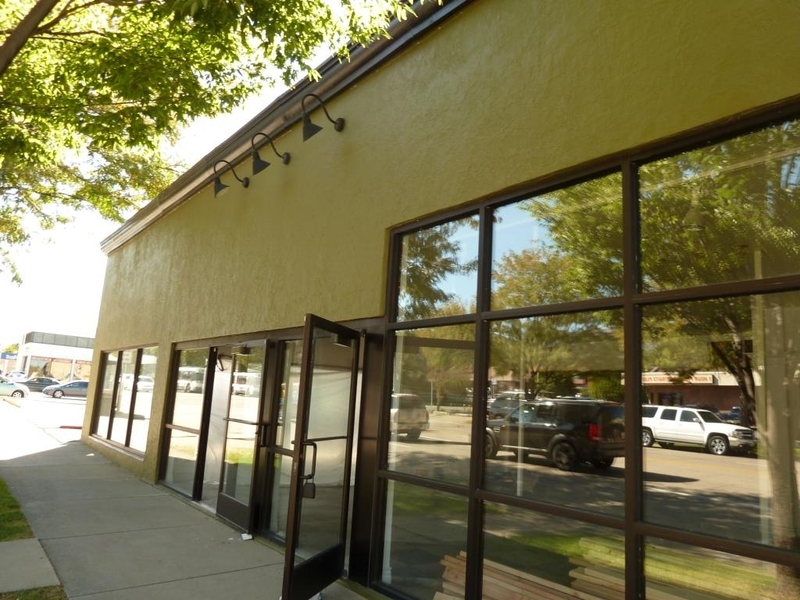 Too bad we can’t yet decide on the color of the awnings. I think right now we just hope to have enough moolah to put them up before opening. Okay…enough talk. Here’s the reveal. I told you it was crazy. But aren’t they cool. No turning back now! 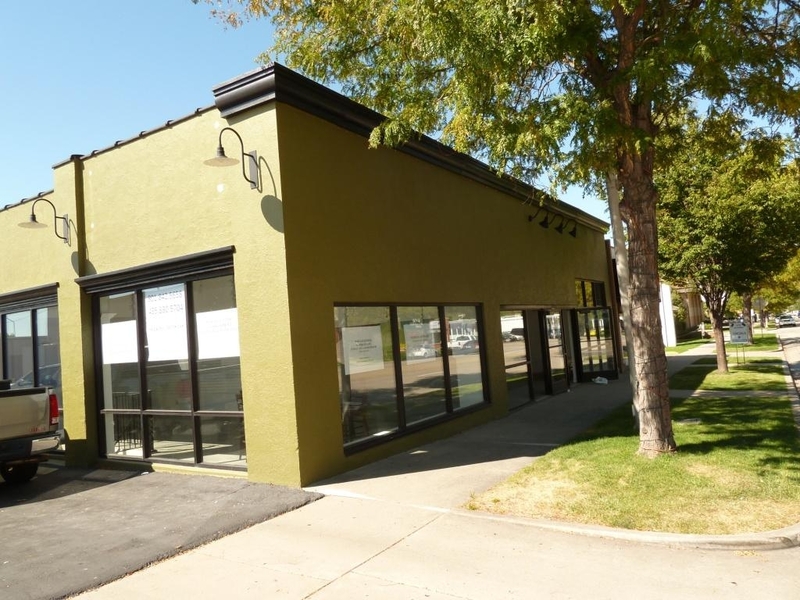 So you agree that the awnings are a must?! They will be super cute on the already great building. Do you like the green? We are calling it avocado green. It may not be exactly what we’d pick, but either way it’s there to stay for now and good enough for a bunch of picky designers.